Tags: Blue, Double Layer, Gown, Gray, Lehenga, Original Design, Walima & Second Day. 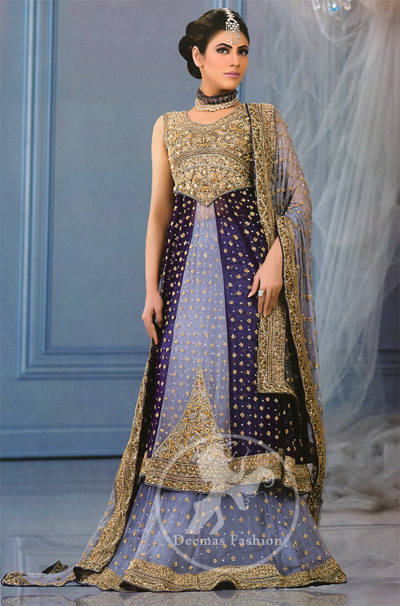 Grayish and Navy Blue Bridal Frock adorned with bodice and hemline. Small motifs and stones spray all over 3 pieces. 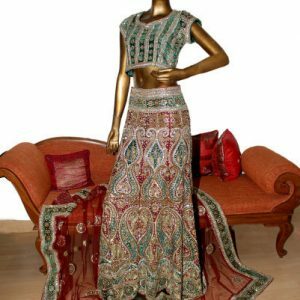 Embroidered dupatta and lengha.